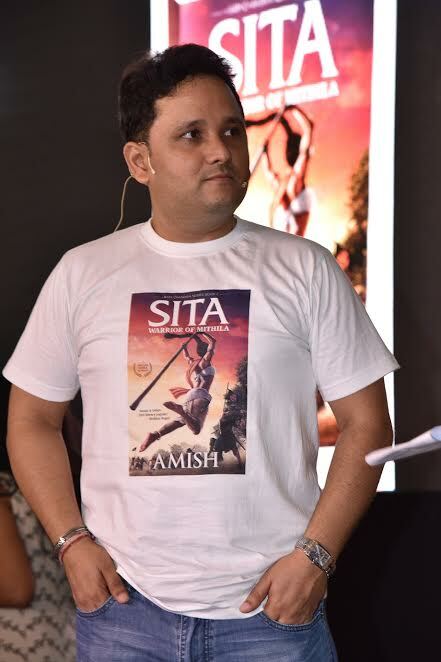 On Monday Author Amish Tripathi released his much awaited book ‘Sita – Worrier of Mithila’ (Book 2 of the Ram Chandra Series). Book Launched Event was held at Oberoi Mall, Goregaon. This book is second edition of Ram Chandra Series. First book is Scion of Ikshvaku was released two years ago and that also became the highest selling book of 2017. 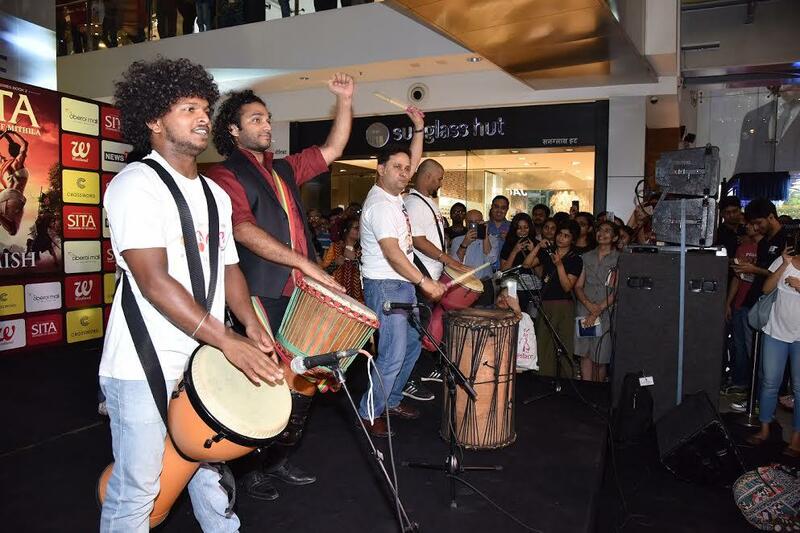 The mall’s atrium came to life with unprecedented crowds for a book event and an eventful launch that witnessed enthralling performances by the Drum Circle and Mardani Khel artists performing with the Lathi, who truly captured the spirit of Amish’s vision of Lady Sita in their acts. 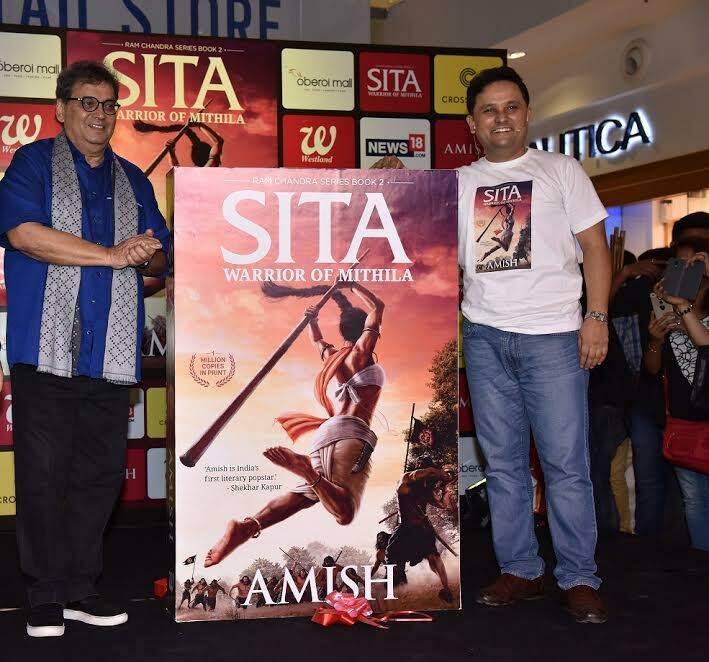 The unconventional portrayal of Lady Sita by Amish in this Book 2 of Ram Chandra Series has piqued the curiosity and interest of readers across demographics, with pre-orders that have smashed records. The essence of Amish’s version of Lady Sita – a strong and independent woman – was also seen in the activities carried out during the launch. The book launch took place amidst a carnival-like atmosphere created by the performances and a ‘Experience Zone,’ where attendees could pick up props such as the lathi and take selfies to share with friends on social media. Furthermore, five lucky winners of the #DesignforAmish contest received the opportunity to share the stage with Amish. They couldn’t contain their happiness when they received book copies with their versions of the cover. The event was relayed live on Facebook much to the delight of Amish’s fans. Over thousands of people from around the world logged in to see the event, making this probably the most watched book launch event in Indian publishing. 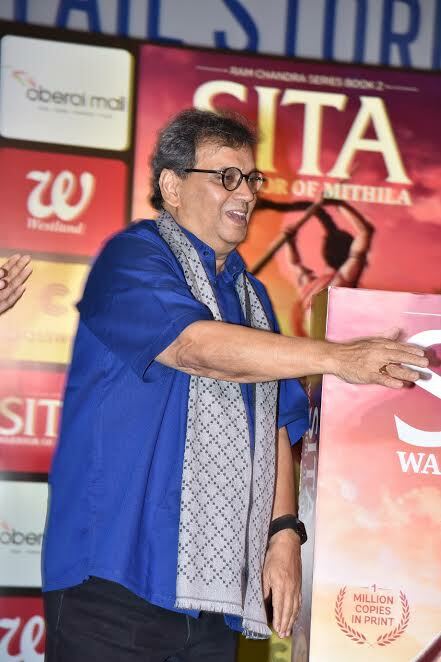 Maulik Desai Business Head of Crossword Bookstores said ‘Amish is unarguably one of the most popular Indian fiction writers in India and we are delighted to launch his new book “SITA- Warrior Of Mithila” . Amish has been enormously successful in his writing and his stories will remain with many generations to come’. The wait for readers across the country for the most-awaited book of 2017 has come to an end, since they can now grab a copy of Sita – Warrior of Mithila (Book 2 of the Ram Chandra Series) and read the unheard story of the powerful and courageous Lady Sita. Fans can pick up their copies from bookstores across the country or at any online stores.